Do you know what is Website Optimization Services and what role it plays in Conversion Rate Optimization when it comes to improving your website conversion? According to reports, more than 90% of online startups fail within the first 120 days. Even for established online businesses, the stats aren’t encouraging. In the world of brick and mortar stores and large corporations, there are basic strategies that must be employed to break even. Similarly, to run a successful online business, some SEO, SMM and other online tips simply have to be adhered to. As an organization keen to see your businesses grow, Uplift digital marketing services utilize prime SEO services, dedicated SMM services, and other online services to uplift your business. Reputation is important in building a successful online business. Even the slightest mistake can wreak havoc on your reputation. Keeping track of the mentions of your brand helps build your reputation. The key is to set up social media branding guidelines that will guide your social media activities. It doesn’t end there. Invest in good social media strategies using an organization that understands your requirements and your brand goals and can portray you excellently on social media. Keeping track of our clients’ online reputation is an important tip that has seen them soar. We offer prime SMM services that include setting up alert notifications for all your online platforms. Coupled with an understanding of your brand and market, we design dedicated SMM services that will ensure the success of your business. While executing Website Optimization Services a key determinant of your success is how you utilize the power of SEO. Appearing on the first page of SEO will edge out your competitors. In today’s digital world, every organization understands the benefits. However, most are going about it the wrong way. It takes dedicated effort and keen analysis to rank higher SERPS. Strategic Search Engine Optimization services are a specialty of ours at Uplift Digital Marketing services. Our SEO Plans, prime SEO services, on page SEO services and dedicated SEO services are customized to suit your services and market. To build that successful business you’ve always craved, you must leverage the power of social media. It is not a choice. Social Media Platforms, with billions of users, is the best place to grow your brand and your business. And no, a successful social media strategy is much more than posting updates. As the best SMM Company in Texas, one thing we’ve always preached is the use of dedicated SMM services. The dedicated SMM services approach incorporates other services such as local SMM services, prime SMM services, and other bespoke social media marketing services. Utilizing the right SMM services is crucial to the success of your online business. Another great way to boost your online profile is creating customized quality contents. You can set up a simple blog detailing facts about your services. Also, you can utilize Instagram, Facebook, Twitter, LinkedIn, and other social media platforms. However, your contents must have a targeted audience. Instead of posting contents and hope it appeals to readers, we use the tailored content approach. Uplift digital marketing services include studying the type of content – infographics, blog post, videos, webinars, and videos – that works best for you. Creating customized contents enable us to reach a wider audience that will stay loyal to your brand. It’s a wrong notion that an online business is one you can do in your spare time. Putting all your efforts in a 9 – 5 job, while attending to your online business is a guaranteed way to ruin your online business. If you can’t give your online business the attention it deserves, Uplift digital marketing services can come to your rescue. With our SEO services and website SMM services, we take charge of your online business and utilize prime SEO and dedicated SMM services in giving you the online edge. If you are not utilizing these tips and tricks which we discussed above in our Website Optimization Services, your business will flounder and fail. 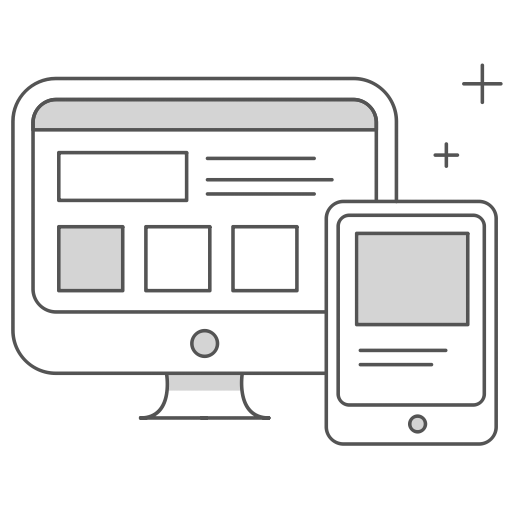 Need bespoke Website Optimization Services in Texas USA and beyond? Contact the Uplift Business – the best SMM Company in Austin Texas as well as the best SEO Company in Austin Texas. Offering the best SEO, SMM services in Austin, Texas, we will give your business the online edge it deserves. Initiated with an inventiveness to propound best digital marketing services to every Online Business owner. Uplift holds an incredible team of digital marketing specialists, Social Media Experts, Content Writers, Web Designers, Dedicated marketers, Business Analyst, Certified Project Manager, Public Relations Specialists, and PPC experts. Uplift Business top digital marketing agency come with a diversity of services available to clients who want to make an impact on the major search engines. Don’t underrate how prime SEO services can advance your company’s standings in your industry.